This is the kind of press the horses need badly and it is the kind of research that needs to be done before deciding to remove horses from their land. No one has done enough research on the ecology and biological interactions of the wild horses and the range. Sure we are told what the BLM wants us to hear about their destructiveness…but we already know they are wrong about their grazing habits and that cows and sheep do more damage with their ripping of plants vs the horses cutting. So, really, how much is known about possibly vital interactions between what the horses and burros do and the animals and plants that share their homelands…and why are any decisions being made before all the research has been done??? Anybody need any more proof that Wild Mustangs are ecologically essential, these beauties are so important , Please everyone inform all that have no idea !!!!!!!!! 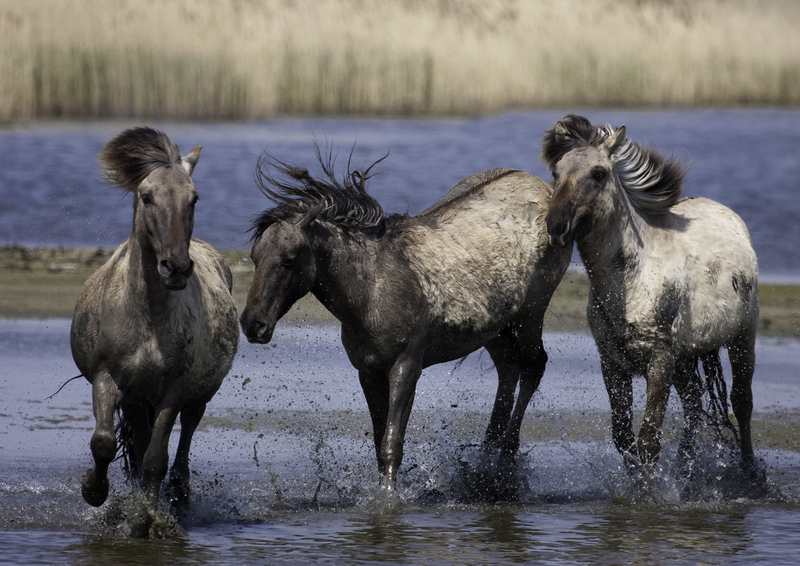 A place that actually WANTS wild horses? Amazing! I remember a very informative back-and-forth about using Mustangs to control Cheatgrass, because they would get to it before it went to seed, and, unlike cattle and domestic horses, range over a wide area. There was anecdotal evidence from a Fire Chief that there were fewer problems with wildfires when Mustangs were in his area. Increased incidence of more destructive fires after they had been removed.